New Fluorinated Carbons: Fundamentals and Applications is the second volume in Alain Tressaud's Progress in Fluorine Science series. This volume provides an overview of cutting-edge research and emerging applications using new fluorinated carbon materials such as fullerenes, carbon nanotubes, polycyclic aromatic molecules, carbon nanofibers, and graphenes. 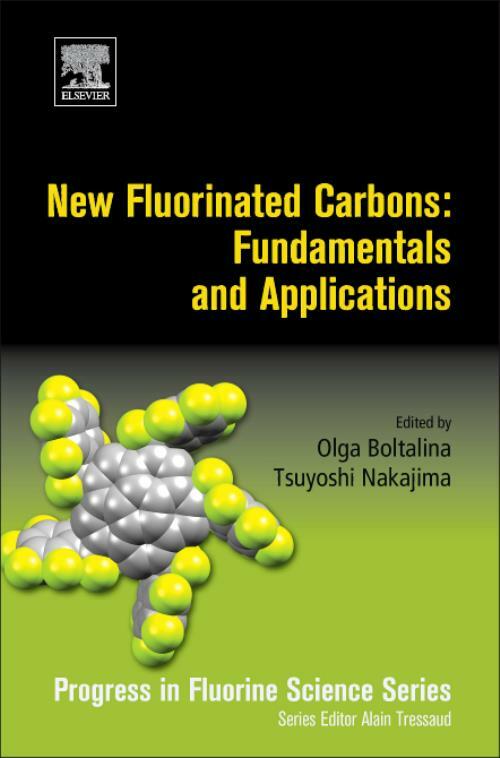 Edited by recognized experts Olga Boltalina and Tsuyoshi Nakajima, this book includes valuable chapters on syntheses, structure analyses, and chemical and physical properties of fluorinated carbons written by leaders in each respective field. The work also explores the diverse practical applications of these functional materials-from energy storage and energy conversion devices to molecular electronics and lubricants.